The new Performa Pelvic Health Table, by Current Medical Technologies, is the first table designed specifically for the pelvic health therapist. 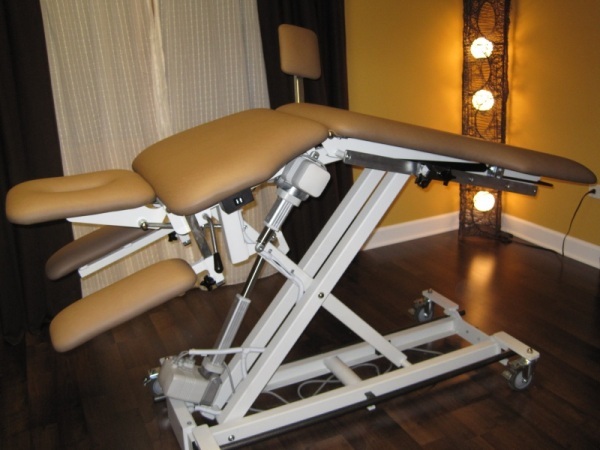 With traditional tables, therapists typically lack the ability to get close enough to the patient due to the table�s width, causing a side-bend and rotation for the therapist. This can cause great discomfort and damage to the therapist�s health. 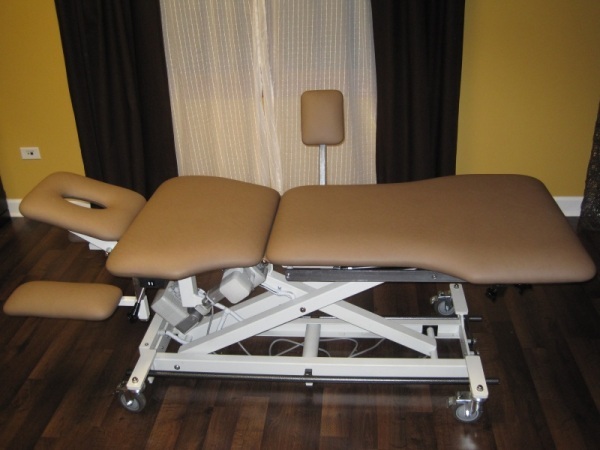 Another common issue with traditional tables is the fact that the therapist can only support one leg while they are doing an internal vaginal exam. Since the unsupported leg isn�t resting and therefore the hip rotator would be working, the pelvic musculature on that side tightens up. The result? Evaluations produce false information. One side is always tighter than the other side. Further vaginal treatments could also be skewed. Yet another issue is the fact that prone internal rectal exams and treatments were difficult to perform due to patient placement. The only solution is the use of multiple pillows under the patient, but the patient can rarely tolerate the position for too long. 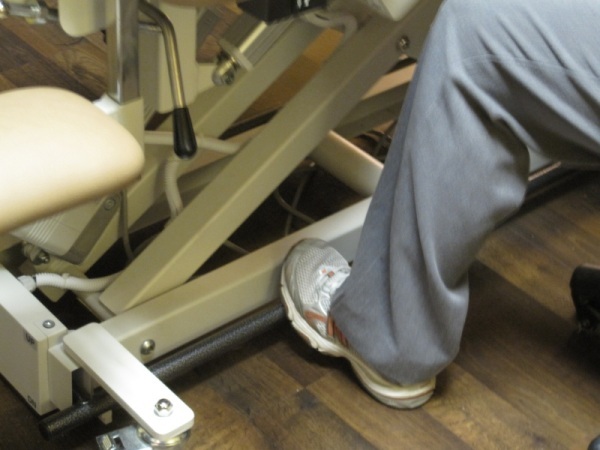 The new pelvic health table�s design has eliminated these issues. 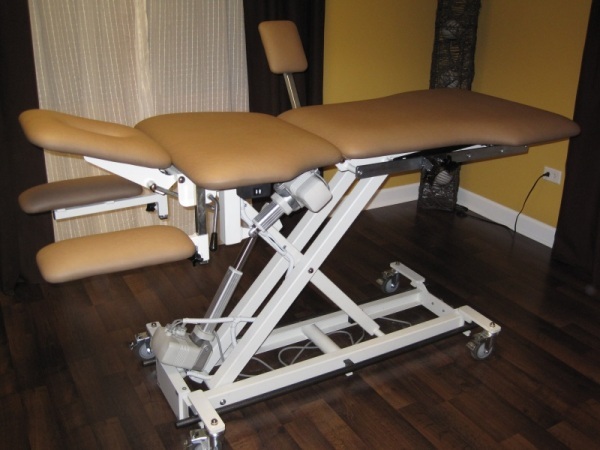 Therapists treating pelvic conditions for men and women, gastrointestinal conditions, sacroiliac dysfunction, prenatal/postpartum, infertility or coccyx pain could greatly benefit from the table function and comfort of the new pelvic health table! Please see the list of improvements below. If you are interested in finding out more about this table, please visit Current Medical Technologies or contact Brandi Kirk at brandi@kc4hl.com. The side cut-outs get the therapist close to the patient, but still allow enough room for the patient to be comfortable. 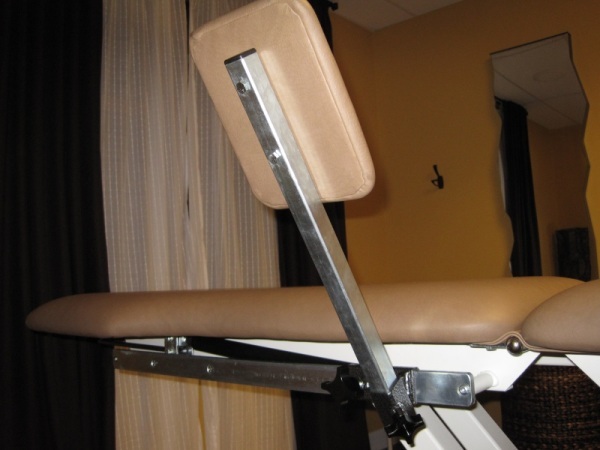 Creating a leg rest that can be adjusted up and down the table for the patient�s height and in and out for comfortable hip rotation allows for improved internal vaginal evaluations and treatment. 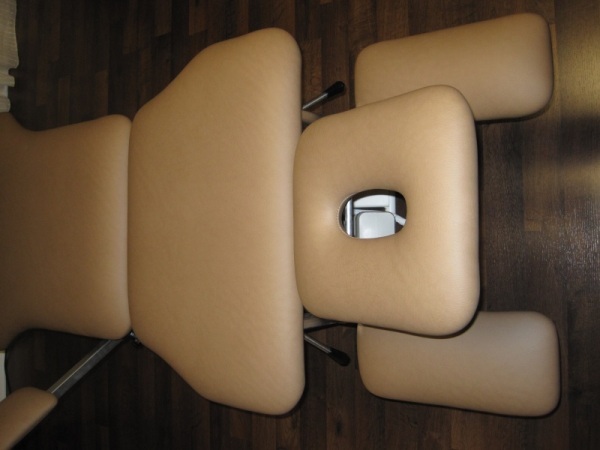 The leg rest can be attached to either side of the table, or removed completely. 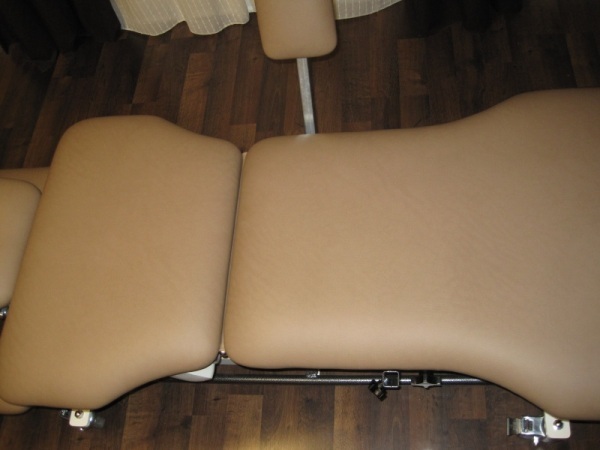 Since the table folds up in the middle, it aids in positioning for internal rectal therapy and evaluation. The patient is more comfortable, even with concurrent back issues. Other improvements include a bar at floor level around the entire table for raising and lowering the table. 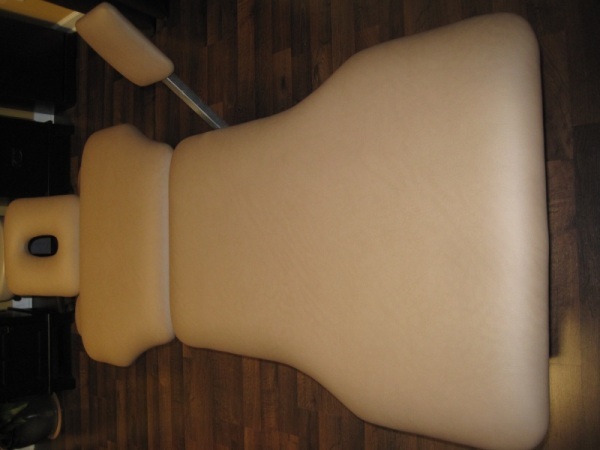 This allows for adjustment of the table if you are uncomfortable, without interrupting your treatment. No more looking for the pedal!